Finally, the love of your life has proposed. You’ve said “yes” and now get to begin this wonderful journey to plan the fairytale wedding that you’ve always dreamed of. What to do first? 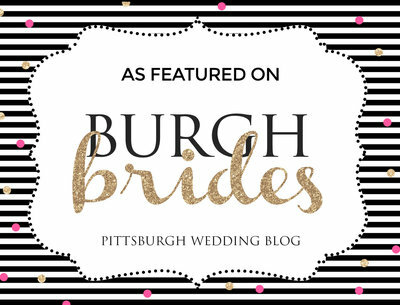 Well, choosing the theme for your Pittsburgh wedding will give you a clear idea of ​​the visual aesthetics that will unify all the elements of your magical day. Defining a theme will give you the framework from which you can choose flowers, dresses, souvenirs, and other accessories and wedding details. Also, the reason theme weddings are so trendy right now is very simple: couples want their wedding to be special and unforgettable. To take their guests to another universe and give them a little holiday, all thanks to their wedding. It’s a memory that you will keep all your life. Finding the theme of your wedding will make choosing the decoration much easier. It is important to specify and limit all those ideas that we have in our heads before we start buying and buying and buying. This way we avoid spending hundreds of dollars on items that we don’t even know how to make them work together afterwards. The date of the wedding. The date of the wedding and, above all, the season of the year in which you celebrate it, is a great source of inspiration. Spring and themes like nature and pastels are so popular; summer and strong and exotic colors are also very in right now; autumn and its warm colors; and winter and themes related to the cold and the mountains full of snow are some options you have to think about! Your tastes. The theme must be related to you and your tastes. You can inspire yourself in your favorite colors, in the clothes you like, your favorite season … And, in general, 2 or 3 colors are combined by for a theme (the favorite colors of the bride and groom), no more. Your hobbies. Do you like sports, movies, animals or music? Why not choose one of your hobbies as a wedding theme? It’ll let you share what you love with your guests. They will also love to know you a little better! Your origins. The travel themes are endless. Choose the country or region where you are from and pay homage to an oriental, Italian, Latin wedding … You can also choose a culture that you like. A Hawaiian wedding or a Vegas inspired wedding or a Pittsburgh wedding… you choose the destination!